Wilco were one of my favourite bands of the 90s. Those high school and just after years. My beaten up copies of Summerteeth and Being There went with me just about everywhere. Through them I discovered a world of American music. In 2001, with Yankee Hotel Foxtrot, they became a different band. They had the same emotional intensity, but a very different sound. So it was with extreme pleasure that Sky Blue Sky came along. It doesn’t sound like their 90s stuff exactly, but it harkens back to that simplicity – and takes it somewhere new. I played this album to death. It’s so warm and engaging. This is exactly the kind of stuff I like, and that most of my friends can’t stand. Dudes singing in tight harmonies, guitars strummed and not riffing, someone in the band might have a beard. I remember that first listen, walking home through Notting Hill, hearing those excellent songs, and how easily that meal went down. Which is slightly odd because Wilco has always been a band that challenged me. And they didn’t do it with this record. (Have you heard my You Am I/Wilco, best friend/lover theorem? Well, I have two favourite bands. Australian band You Am I and Wilco, and for very different reasons. You Am I strike me close to the bone, as if they sing with my voice and about my thoughts. I can go years between albums and pick straight up where we left of. There’s no new language to learn, we speak the same one. In short, You Am I are like a best friend. Wilco however, challenge me. I had never heard such drones and noise til I heard Misunderstood. Or an album as sprawling and wonderous as Being There. The thick sunshine pop of Summerteeth. A man named Woody Guthrie. Those amazing lyrics. So Wilco is like a lover, someone you are scarmbling to keep up with, that you want to impress, and improve yourself for. Someone who makes you want to be better than yourself. Lead Wilcan Jeff Tweedy said, about this record, that he wanted to write songs that his wife would actually like. And in that, it reminds me of something Beck said about Bob Dylan‘s Nashville Skyline. What’s happening here is a a bunch of guys who can do almost anything they want sonically, just kicking out a couple of tunes. The tunes are some of Tweedy‘s best. Either Way, You Are My Face, Please Be Patient With Me (later used so well in the movie Ghost Town), What Light – the acoustic guitar was back in Wilco‘s arsenal. But there’s plenty of fireworks too. The guitar theatrics of Impossible Germany and Walken make them live staples for years and years to come. I know Tara’s favourite is On And On And On, a song for Tweedy’s father after the death of his mother. For me though, my favourite is Sky Blue Sky. It has that lazy Grateful Dead-ish shuffle, and an amazing lyric. So happy to leave what was my home. I line that resonated, of course. But later that year after I had a nasty car accident – I survived/that’s good enough for now. Thirteen years and how ever many songs later, they still pull one out that goes straight into the top 5 Wilco songs. I didn’t love Wilco (the album) as much as this one. And the last time I saw them live, they drifted into indulgence. I shouldn’t doubt. They’ve proven me wrong before. But this love affair that started in 1995…can it survive into the next decade? With some years passed, it’s easier to see the faults on A Ghost Is Born. At the time, coming off the brilliant Yankee Hotel Foxtrot, Wilco could do no wrong. It is here that the guitar noodling really starts for Wilco. And in many ways, the next two albums have been variations on this one. On this very long album, they pushed the boundaries of what Wilco could be. Sadly, they have stayed well within that boundary ever since. That aside – there are many Wilco classics on here. Handshake Drugs, Theologians, Late Greats, At Least That’s What You Said… to name a few. It’s an album that still looms large in a current Wilco setlist. Oddly, for one of my favourite bands, I am personally quite unconnected with this album. I used YHF like an old pair of jeans – I wore them often, they lived my life with me. This one didn’t have that for me. So why is this record on the list? Well, because it’s still a very great record. And I have odd relationships with favourite artists, and their not-so-favourite albums. I still love them, I still know them inside out, but they are not everything I know they can be. I’m not sure if you need this blog to tell you how great Yankee Hotel Foxtrot is. 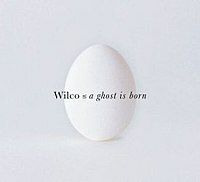 Wilco’s fourth album knocked it out of the park. Worth gave me this album, on cassette, ages before it came out. He knew somebody, somehow. He gave it to me at the Vic On the Park in Marrickville, after some show. By the time I walked away from the venue, onto the train and made it home, 40 odd minutes later, the album had finished. Looking at the lights of the city fly by on a late night neon lit train is the best way to hear this record. I was very happy to see the towers on the cover in Chicago earlier this year. Go out and get it if you don’t have it, then check out the movie I Am Trying To Break Your Heart, one of the best rock movies/docos in recent years. Green Day - Know Your Enemy 7"
2009’s Record Store Day was the most successful yet. A huge list of exclusive releases was given to Indie retail all around the world (although, mainly in America). It showed that, for at least one day a year, people can still walk into a record shop. Now let’s see if people will do it on the third Saturday of every month. Again starting in the US but hopefully spreading further, the Record Store Day people have organised Vinyl Saturday on, as stated, the third Saturday of every month. Vinyl made up a bulk of RSD‘s exclusives this year. It’s a format that is experiencing another of it’s occasional booms. It certainly has a lot of good will at the moment. Vinyl Saturday, a great idea that we support even if our wallets don’t, is starting off with a bang. No less than Green Day, still hot from their 800 billion selling album 21st Century Breakdown, is opening proceedings with a very limited 7″ of their latest single Know Your Enemy backed with Hearts Collide, an unreleased track. Wilco offer a 7″ of You Never Know, from their upcoming album, backed with Unlikely Japan (a demo of Impossible Germany from their last album). Modest Mouse and Scarlett Johansson/Pete Yorn offer tracks on 7″ from upcoming albums as well. All of them are limited to around 5000 copies. 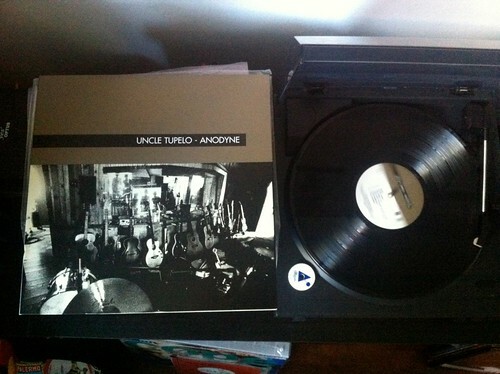 Oh how we love 7″ singles and their unique artwork and 5 minutes promise of bliss. We love the unreleased b-side, the hidden treasure of a 7″. Hopefully there is a flood of cool 7″s coming out because of this initiative. And hopefully it gets out of the US. And looking at the repertoire – someone other than Warner Music Group participates. Interestingly – what was considered the hottest exclusive of Record store Day was Beck and Sonic Youth‘s split 7″. It’s currently going for almost $50 US on eBay. So get in quick!